The Dive Pirates Foundation is a non-profit organization that sponsors people with disabilities with scuba training, dive gear and a paid trip to the Brac Reef Beach Resort to complete their certification. On their first Brac vacation in 2004, the DPF brought a group that included four adaptive divers and their buddies. On this year’s trip, which wrapped up this weekend (Saturday 25 June), they brought a group of 83, which filled the hotel to capacity. Among them were the latest sponsorship recipients: two amputees, two paraplegics, one quadriplegic, as well as an adaptive diver with paralysis on his left side, one with a closed head injury, one with burns and fused ankles, and one with an injured back – results of combat injuries, car accidents or illness. 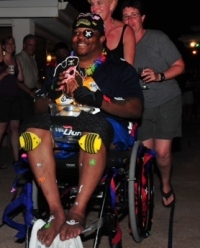 Past sponsorship recipients, two amputees and four quadriplegics, who returned this year included Walker, from Albuquerque, New Mexico, who was on his fourth trip to the Brac. Largely because of the relationship that has built up between the Dive Pirates and the Brac Reef, when the Tibbetts family, who own the hotel, rebuilt it after Hurricane Paloma demolished most of it in 2008, they included three wheelchair accessible rooms and concrete or wooden walkways throughout the resort. In addition, most of the dive staff with Reef Divers, which operates from the hotel, are SSI trained to assist adaptive divers, and according to Walker they seem to enjoy the group as much as the Pirates enjoy coming. Before he took up scuba in 2007, Walker said, he felt as if he was just living day to day. He lost the use of his legs in a freak accident in 1997 and the shock and depression lasted for four years. He lifted weights to keep in shape but his disability plus the responsibility of being a single father with two daughters weighed him down. When his massage therapist suggested diving to him he took to the idea immediately, and his sister was excited about training with him as his buddy – but it wasn’t an easy process. “I was scared out of my mind getting in the pool the first time and had a panic attack, but I never thought about giving up,” he said. To overcome his fears he practiced using the snorkel with his head in a bucket to try and control his breathing. On his first ocean dive he hyperventilated again, but this time not because he was scared but because he was excited. However, he regained control of his breathing and as he descended he relaxed. “Everything was so beautiful. There was stuff you only see on the Discovery Chanel,” he said. Walker hopes to return next year and says he has no desire to dive anywhere else. “I recommend Cayman Brac to everyone, disabled or not,” he said. For more information about the foundation or the trip to Cayman Brac go to divepirates.org. (CNS): The latest statistics from the Department of Tourism have confirmed what business owners dependent on cruise passengers have been saying for several weeks that the numbers are way down. After a strong start to the year the drop in cruise passengers which began in April continued in May with an almost 20% dip compared to May 2010. Last year 114,504 cruise passengers docked in George Town during the month of May compared to 91,909 this. Meanwhile arrivals at the airport remained on the upward trajectory with a 7.4% in the people flying into the Cayman Islands. While the outlook for the cruise tourism becomes increasingly gloomy with a first quarter decline of more than 13% so far 2011 continues to look better for stay-over guests with a more than 10% increase on the first quarter of 2010. Once again air arrivals were boosted with a more than ten percent increase in passengers from Canada. In May 2010 1283 people flew to Cayman from Canada but last month 1417 passengers came from that country. Although passengers from the UK and the rest of Europe showed a decline of around 11% the increase of almost 9% from all across the USA meant 23,440 arrived at Owen Roberts International compared to 21,824 in May 2010 and 21,438 in 2009. The steep decline in cruise passenger arrivalsfor the month however, does not bode well for the summer months for businesses in downtown George Town. The 91,909 cruise arrivals for last month is the worst statistic for more than a decade not since 2000 have less people sailed into the port during May. Meanwhile, the tourism industry was celebrating its own last week with CITA’s annual Cayman Stingray Tourism Awards at the Grand Cayman Marriott. Government officials and those in the business were there to hand out gongs to employees in the industry who have gone above and beyond the call of duty as ambassadors for Cayman. (CNS): The National Trust has become the latest organization to add its voice to the growing opposition to the proposed East End commercial port and has urged government not to give its approval to the project. The organization said the risks far exceed the potential benefits that couldbe derived from it. “Its impact on the people, the land, the sea and the ground water will be to the detriment of present and future generations of these islands,” it stated. 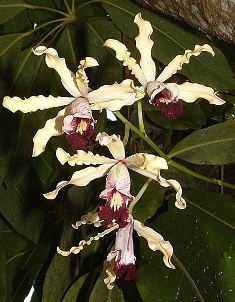 It said the port posed a threat to both the national tree and the national flower. The organization pointed out that the land area under consideration is home to many native reptiles, birds and other animals including a variety of native plants many of which are endemic and on the IUCN Red List of Threatened Species as either endangered or critically endangered. “These include our National Tree, the Silver Thatch, and our National Flower, the Wild BananaOrchid,” the Trust noted in the statement. The East End Sea port and development zone is a project proposed by Joseph Imparato which would, if it were allowed to go ahead mean the total destruction of several hundred feet of coastline and at least two pristine dive sites, as well as the potential to damage several other dive sites. Aside from the impact on the natural environment the NT raised its concerns about the urban changes associated with this development that “will alter forever the way of life on Grand Cayman, and particularly for the people of East End,” as it stated its opposition. 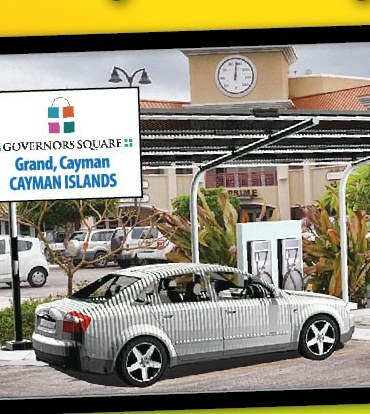 (CNS): Although promises of making electric cars legal by June appear now to have been pushed back again to September, John Felder, CEO of Cayman Automotive announced plans to open the islands’ first Solar Panel charging station for electric vehicles last week. The first of twelve planned stations where drivers will be able to plug in their cars will have two slots and is located in Governor’s Square. The prototype station is expected to be fully functional by the end of this year in anticipation that legislative changes will allow all types of electric cars to use at least some of Cayman’s roads. The solar powered stations will generate electricity using pollution-free solar cells and mark a step towards a greener future for the islands. With plans for another 11 stations EV drivers will eventually be able to drive island-wide, and recharge their electric cars. Felder also noted the new stations will attract business from people who are coming to plug in their cars as it takes a bit longer that filling up with gas. The Solar Panel Charging Stations for EV will use a modular design of solar panels built as a canopy above parking spaces of a vehicle-charging device, or an EVSE (Electric Vehicle Supply Equipment) which encompasses a communications and control system, data collection equipment, a transformer and connection to the local CUC power grid. (Daily Telegraph): Transcendental meditation, the relaxation technique made famous by the Beatles, can cut heart attack and stroke death rates by up to 50%, new research has found. The practice, which involves the continual repeating of a mantra, was found to reduce high blood pressure, cholesterol and thickening of the arteries. It is also protects against diabetes. "This is a seminal finding," said Dr Norman Rosenthal of the American government's National Institute of Mental Health. "The prevention of heart attack and stroke and actual lengthening of lifespan by an alternative treatment method is exceedingly rare, if not unprecedented. 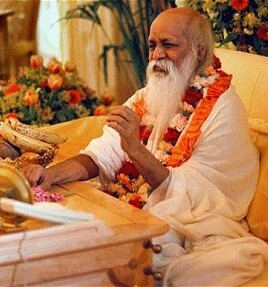 “If Transcendental Meditation were a drug conferring so many benefits, it would be a billion-dollar blockbuster." (CNS): MLAs engaged in heated debate during Friday’s Finance Committee session over the fate of marl sitting on site at the now-shelved project to build the Beulah Smith High School in West Bay. Part of the committee’s look at projected 2011/12 appropriations for the Ministry of Education, Training and Employment, the questions raised centred on the $2.1 million spent on site preparation and the marl left piled on the vacated construction area. The plans for Beulah Smith were put on hold in the wake of the global financial meltdown that began in 2008. In addition, Rolston Anglin the education minister took issue with the decision of the previous PPM government to go ahead with the four school projects – Beulah Smith, John Gray and Clifton Hunter high schools and the renovation of George Town Primary School (which was later shelved) – in the face of the deteriorating global and local economic climates. As for the marl, the minister said his biggest concern was now securing the material. He added that work done at the site cost a total of $3.4 million, including $1.3 million to local contractor MacAlpine. Premier McKeeva Bush addressed the cost of the now-abandoned site. “As Minister of Finance, my concern is what I’m hearing now about,” he added, referring to the money that has been spent on maintaining the site. Bush also said the marl constitutes a potential flooding threat. “The high piles of marl are not good for the neighbourhood,” he said, adding that if there were drainage problems, rainwater would back up that could cause serious flooding.Bush said he was worried how potential flooding would affect the area’s natural drainage ability. “I will ask the minister to revisit (this issue), since we don’t have the money to build Beulah Smith,” he said, pointing out that the piles of marl would have to be moved. MLA Cline Glidden asked former Minister of Education Alden McLaughlin why his PPM administration went ahead and filled the site with marl, when the government didn’t have the funds to carry the project forward. McLaughlin said there was extensive discussion and planning about the construction of the three high schools and pointed out that Glidden helped break ground at the Beulah Smith site. 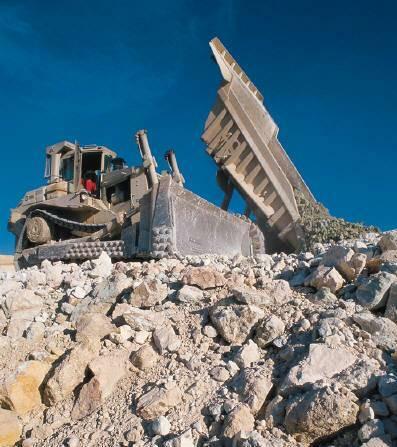 He added that government never entered into the $49.8 million contract with MacAlpine because of what was happening in the global and local economies. In response, Anglin said that planning, caution and living within means “went out the window” over the four years of the PPM government, accusing that administration of poor planning, fiscal irresponsibility and poor decision making. (CNS): A police investigation which may involve the premier was set in motion by a member of the judiciary and not by the opposition, the PPM leader said Monday. Alden McLaughlin noted that, despite comments made by McKeeva Bush at a jobs rally on Saturday, the opposition did not trigger the investigation that McLaughlin says involves the premier, and that the information was uncovered in a civil court case which led to the governor becominginvolved. Duncan Taylor confirmed that he had notified the police commissioner of an “issue” which led to an investigation but he has not said if it involves Bush. Meanwhile, Ezzard Miller has called for the premier to resign to avoid putting Cayman at risk of a “TCI situation”. The premier has not yet released an official statement regarding the financial probe of alleged activities believed to have taken place during Bush’s previous term in office as the islands' leader. The premier told CNS Monday that there was nothing to investigate because "his hands were clean and his heart pure”. On Saturday Bush had suggested that the accusations referred to a “real estate bill which he had sent to someone” and that it was the PPM’s plan to have him investigated. McLaughlin said the only connection the opposition and the independent member have to this investigation is that they were aware of it taking place and wrote to the governor about its progress. He explained that he and Miller sent letters to the UK representative and other non-elected government officials, as well as the police commissioner in his role as chair of the Anti-Corruption Commission, to find out what was happening with the investigation, given what they said was the gravity of the accusations. Ezzard Miller told CNS that he had very grave concerns about the accusations given the correspondence he had seen and said the premier should resign. If the Bush would not step down voluntarily his party members should remove him from the leadership position on a temporary basis in order to allow the investigation to take place. “I believe the premier should do the right thing and resign and not put Cayman at risk of having a similar situation arise here as did in the Turks and Caicos Islands,” Miller said. He warned that the only people who can remove the premier from office part-way through a term was his own party. “If he won’t reign his party should ask him to step down, otherwise they are putting the country at risk of having the UK suspend the constitution,” Miller added. So far, the details of the “financial irregularities” remain unconfirmed by both the police and the governor, who have refused to name anyone but have merely stated that an investigation is “ongoing”. However, the governor has not denied claims made by the opposition leader on Sunday that Bush is at the centre of the police probe, which is alleged to involve several hundreds of thousands of dollars. Given that the governor does not usually become involved in the day to day concerns of the Financial Crimes Unit, it is apparent that the investigation he refers to is no ordinary FCU case. “It would be inappropriate for me to comment on any ongoing police investigation or to divulge any details of the investigation or the names of those people being investigated, and quite wrong to speculate on what might be the outcome. I am satisfied that the Royal Cayman Islands Police Service continues to take the matter seriously and to deal with it properly,” Taylor added. (Go-Jamaica): The Office of the Contractor General (OCG) has reiterated its concern about the contract awarded to China Harbour Engineering Company Limited as the main contractor involved in the Jamaica Development Infrastructure Programme (JDIP). Contractor General Greg Christie has been investigating the US$400 million programme after several concerns were raised about aspects of the project. In a release issued this morning, Christie raised concern that the Government awarded the major road works rehabilitation contract to a single contracting entity, without the contract being put to tender. Christie said the matter is further compounded by the fact that China Harbour was allowed to offer subcontracts to other companies, without the usual checks and balances, to ensure transparency in the process.